As only authorized vehicles are allowed to enter the shopping street district in which Toriikuguru is located, there is not a parking lot for Toriikuguru. We are sorry for causing any inconvenience but we ask that you use the nearest paid parking lot (3 minutes by foot). When traveling on highway 180 you will come across the Hokan-cho West Entrance Intersection (look for the bridge pictured below). At this point you will be facing "Gin no Sara/銀のさら". 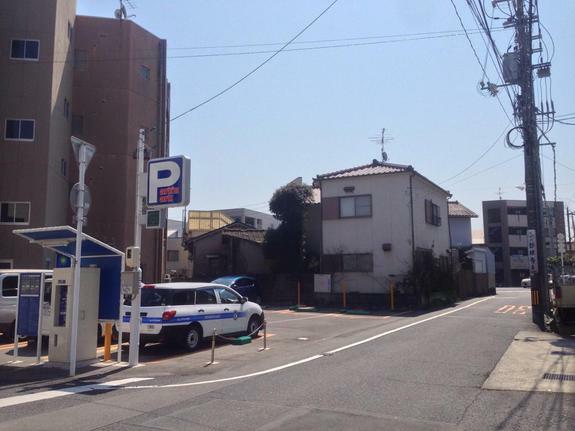 The coin parking is located along the narrow alley in front of Gin no Sara. After parking, return by foot to the intersection where you turned and cross the road. 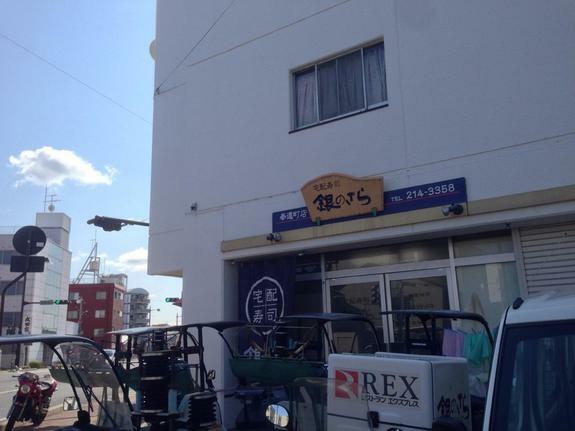 Go straight into the shopping street and you will soon reach Toriikuguru (within 3 minutes from the parking lot). 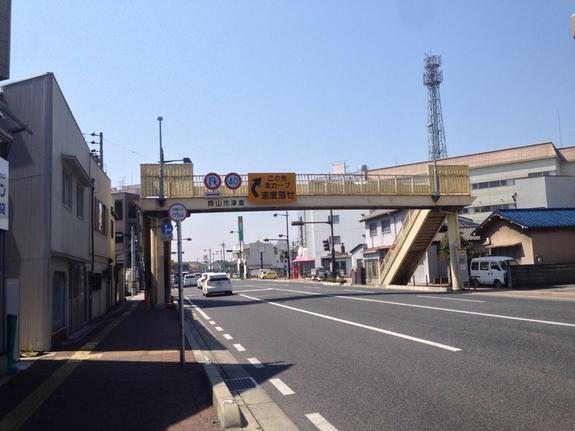 The most obvious landmark is the pedestrian bridge. A 7/11 and Tomato Bank are also located nearby. Panoramic view of the Hokan-cho West Entrance Intersection. 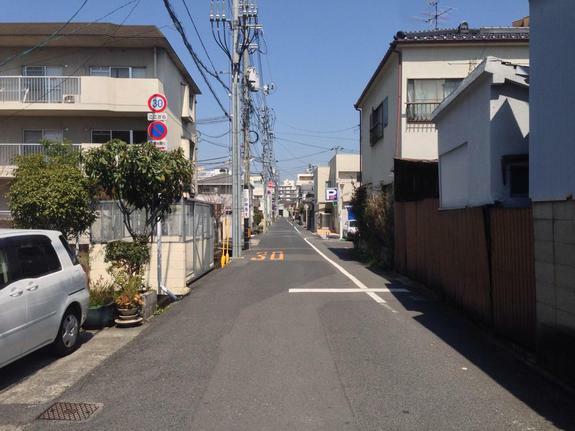 From this angle it is difficult to see, however the entrance to the narrow street in front of Gin no Sara is shown in the center of the picture. An overhead view of the intersection from the pedestrian bridge. A close-up of Gin no Sara. Upon entering the narrow road you can see the parking right away (you should see the blue and white "P" sign on the right side of the road). View of the intersection from the parking lot. After parking, return to the intersection, cross the street into the shopping street and head down the road. You will soon come upon Toriikuguru (shown in the map below).